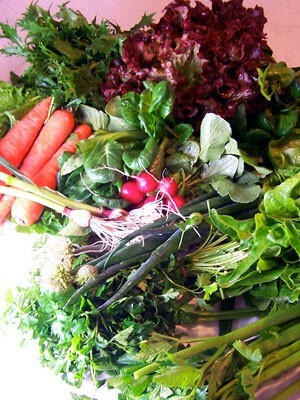 I had joined a CSA program in my hood, and I was starting to see green. Every week I picked up two large bags full of vegetables, many of them greens of some kind. Curly mustard greens, Chicoria (dandelion greens), Mizuna (Japanese mustard greens) and stinging nettles. What’s a girl to do with all these greens? The Purist told me the way to cook greens was to wilt them with olive oil and garlic, which was delicious. 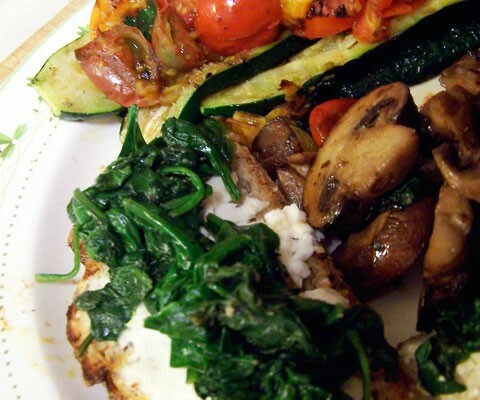 I began wilting greens at every meal. I had wilted greens on top of my fried eggs and toast, for lunch on a warm goat cheese crostini, as a side to tomato risotto for dinner. I also made salads with the greens, then went back to wilting them. It was all good, and good for me, but I needed something different. One day we got stinging nettles. I had to handle them with gloves or plastic bags before cooking them so as not to get a red rash from the stinging hairs on the stalk. And what to do with nettles besides wilt them like greens? Then, during a weekend in Santa Barbara wine country, I had a a wild nettle flatbread with farm egg, leek cream sauce, smoked mozzarella and thyme at a local organic restaurant (Full of Life Flatbread Bakery). Pizza! With the slightly bitter/smoky twist nettles had on greens – combined with local produce and mozzerella on crispy organic pizza dough! Oh! A new flatbread obsession took hold: I had to recreate this flatbread – over and over. A girl’s gonna need more greens. After I’d been a member of my local farm share – Silverlake Farms – for several weeks I realized I needed more carrot recipes. These were the most beautiful vibrant carrots I’d ever seen. 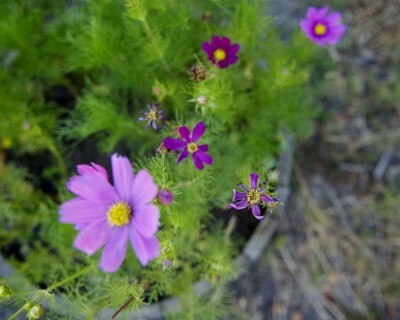 I’d been eating them raw or in salads, along with the gorgeous radishes I also received each week. I scoured the internet and asked my cooking friends, but didn’t come up with anything that unusual. 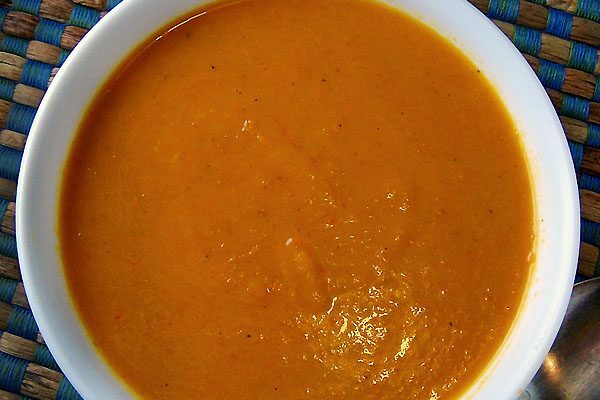 Turns out carrots are best in the forms you already know: carrot soup – puréed of course – glazed carrots or as part of a base (as in soups, roasts or mirepoix). I tried various interesting-sounding dishes I concocted myself, like mirepoix chilaquiles (better than it sounds!) and as an accompaniment in braised cabbage. I ended up making two soups – the Purist’s form (my friend who knows the right way to cook any food) and one blended with tomato. I also dreamed up a glazed carrot dish with honey and blue cheese. All were supremely delightful. The first soup was the Purist’s. He believes you don’t need to add any sugar, no seasoning besides salt, pepper and ginger nor any chicken broth nor cream. And it would only work if you had the correct 2-speed Waring Pro blender and homemade vegetable stock made from organic veggies, preferably purchased at a local farmers’ market. 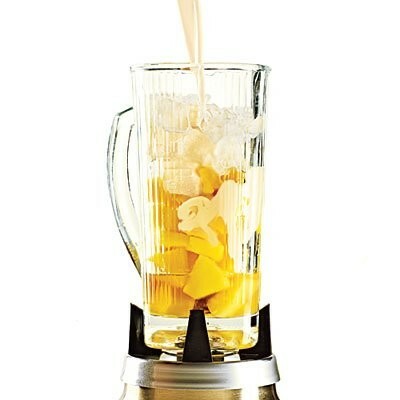 So yes, I bought the blender, but I changed the recipe. I brought my loot over to my friend and fellow foodie’s apartment, the Comedienne. We sautéed the carrots with shallots, onions and ginger, then added sherry, basil, mint and sage stuffed inside a leek (stuffing a hollow leek with herbs was the best idea the Purist had) and let it simmer. We did add chicken stock and cream and then threw it all in the blender. It was divine. Another cold night, I took inspiration from Au Bon Pain and tried my hand at a tomato-based soup with puréed carrots. This time I sautéed the carrots with garlic and onion (and ginger, a nod to the Purist), added store-bought organic tomato soup, vegetable and chicken stock plus a tiny bit of cream. This soup was satisfying and rustic. I ate the whole pot that night with a crisp green salad. And finally, tired of soup, I tried a glazed carrot recipe. I sautéed the carrots in olive and grapeseed oil over high heat, adding a dash of white wine and some garlic – ginger too! – and coarse sea salt. I lowered the heat and cooked it all down a bit, then added some honey and finished it with crumbled sharp blue cheese. Honey goes very well with both carrots and blue cheese, so why not put them all together? This was definitely the best thing I’ve ever done with carrots. I believe in buying locally. I believe in small farms feeding America. I try to eat as many vegetables as possible at every meal because it’s virtually impossible to get in the number of servings recommended for your daily diet, the number needed for fighting off cancer cells not to mention helping regulate various bodily processes more efficiently and keeping you as young as possible. Vegetables = the new fountain of youth. Eating vegetables in season is just smart, because that’s what you’ll find at your local farmers markets. So when I got an email from my newly-sprouted local neighborhood farm with an offer to join their new Community Supported Agriculutre (CSA) program, I promptly signed up for 10 weeks of fresh, locally-grown winter LA vegetables. The first Friday pick-up got me a bunch of carrots, celery, arugula, dandelion, spinach, romaine lettuce, fresh garlic, radishes, mizuna (lovely mild mustard eaten raw), red onion and cilantro. The next week I got carrots, red onion, cauliflower, radishes, turnips, broccoli, tat soi, fresh shallots, romaine, arugula, izuna. After that it was celery, broccoli, carrots, radishes, fresh garlic, mizuna, red romaine lettuce, green romaine lettuce, italian parsley, baby bok choy, arugula, green curly mustard… You get the picture. It was a LOT of vegetables. This CSA share was the best value in Los Angeles, but it was really going to challenge my recipe repertoire. I know the first the day of Autumn has officially come and gone, but the weather around here hasn’t gotten the message. It’s still unseasonably hot and sticky, and the garden is still producing summer vegetables like crazy. 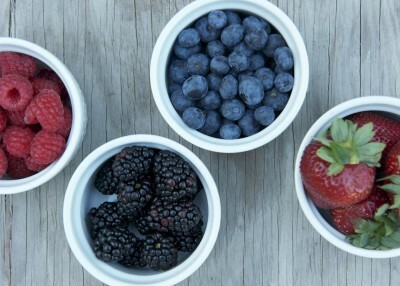 I’ve been craving a fresh and simple breakfast lately, and dreaming of fruit tarts. 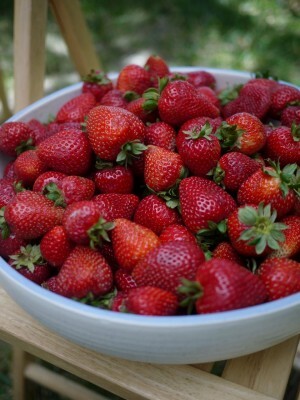 Berries have one of the highest concentrations of vitamins and anti-oxidants of all the fruits; strawberries, along with almonds, are even featured on the clean-eating detox diet that I love! And making the crust with crushed nuts only ramps up the nutrition as well as making it gluten-free. You can use any nut you like — almonds, cashews and hazelnuts are my favorite. Delicious and healthy, you can indulge in this delicious fruit tart and still call it breakfast. 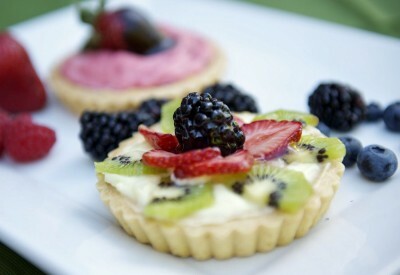 Extra thanks to the lovely and talented Toki Lee for helping with a summer fruit tart photoshoot! 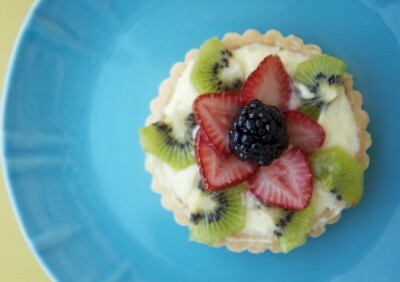 Check out this Greek Yogurt Fruit Tart recipe by Sally’s Baking Addiction for a delicious fruit tart recipe with Greek yogurt and a nut crust. 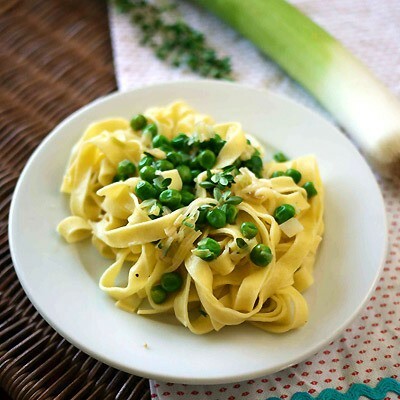 I love how simple and pretty it is — you’ll be addicted too!